Efficiency in the Workplace AGT combined the inauguration of its new offices in Thessaloniki, with the implementation of the 1st Workplace concept, which is the result of a systematic research and study of the new department, Studies & Design, aiming at fostering collaboration and teamwork, while at the same time privacy. 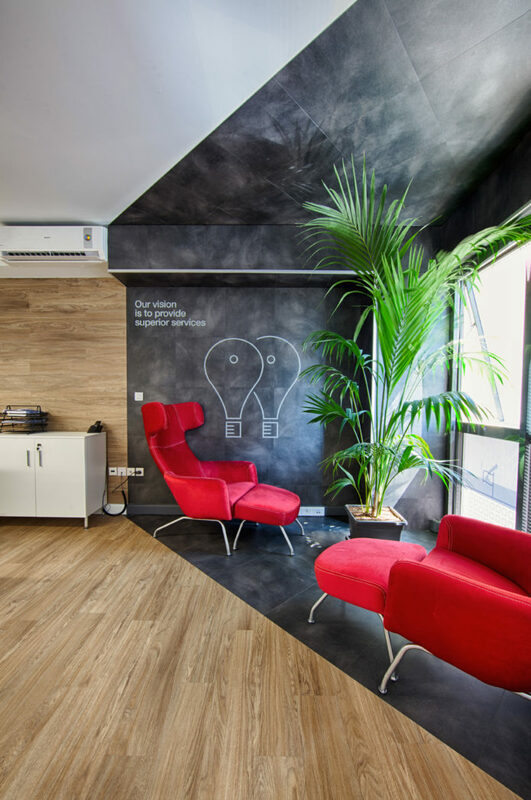 New offices were designed based on AGT’s extensive experience in Operation Management and Human Operational Behavior. With an open space approach, spaces have been created so that Executives of different Specialties can work together when there is a need for team effort but at the same time they can also have their privacy – something that concerns the Greek mentality. Studies have shown that this way of layout creates conditions for increasing productivity and ultimately for efficiency at work. AGT is a company specializing in the following fields: Engineering Projects, Facility Management, Security & Protection Systems, Energy & Environmental, Special Process Projects and, of course, Studies & Design. It is one of the few companies in the industry that has a positive sign in its effects even after 2007. Its KPI’s for both customer-focused and service-quality customers has been awarded with Facility Management Awards while remaining 80% Loyalty. Facility Management (FM) is an Integrated Service System that combines different services. Such are the Technical Maintenance, Decorating Studies, Helpdesks, Packaging Sorting, Special Cleaning, Storage, Focus etc. AGT is one of the first companies to operate in FM, initially in the field of Technical Maintenance and then in all services.